Light plays a key role in medical diagnosis and therapy. ITeM combines optical technologies and raytracing simulation to analyze, design, and optimize illumination systems embedded in medical devices. Endoscopy Illumination System Optimization (Edison) is a current research project in scope of Connected Health in Medical Mountains (CoHMed). Edison aims on enhancing lightguides in rigid endoscopes to increase illumination effectivity and uniformity. 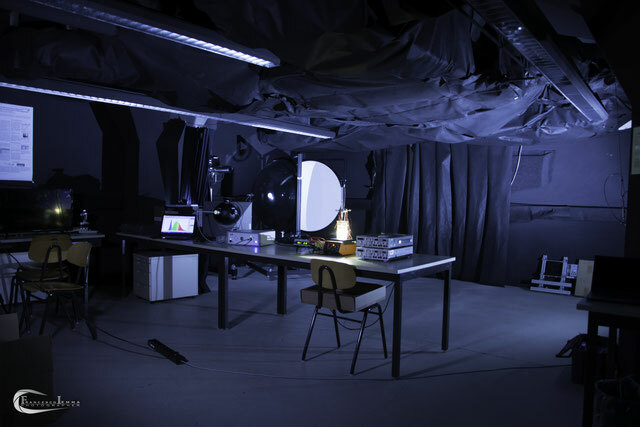 Therefore, parameters like spectral properties and angular light distribution curves are experimentally determined in the lighting laboratory at Hochschule Furtwangen. These measurements are respected in a theoretical simulation model in LightTools (Synopsys©) and assure an optimized result achieved by raytracing simulation (Monte-Carlo-Simulation). Finally, these findings are realized in prototyping improving present lightguides in medical devices.